The Care2 steward telephone is a Type A outstation – BS5839-9:2011. 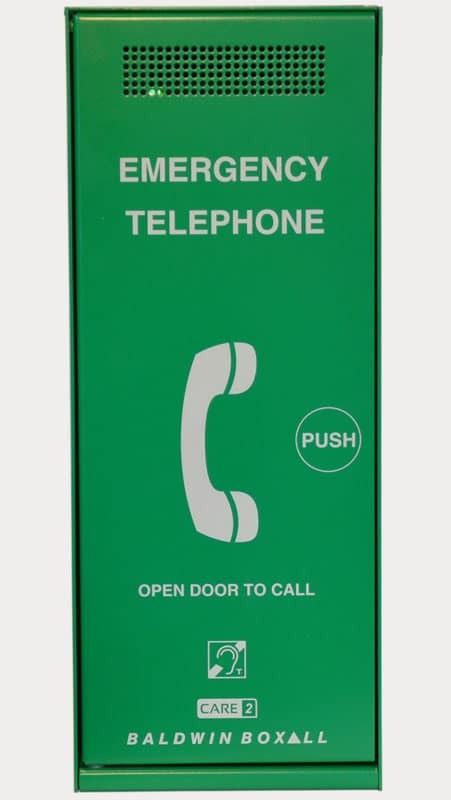 The steward telephone is designed for sports venues and stadia. According to BS5839-9:2011, in a sports venue (or similar site) no-one should have to travel more than 30m to reach the nearest outstation. A steward telephone is referred to as a Type A outstation in BS5839-9:2011. This style of outstation is typically used by stewards during an emergency. It provides a method of clear communication between stewards in different areas, enabling up-to-date information on a situation to be conveyed. To comply with BS5839-9:2011, the centre point of an emergency telephone should be mounted between 1300-1400mm from floor level. Care2 provides an alternative solution to our popular (loop-wired) OmniCare system. Which EVC system suits your needs? Please note: Stainless steel products are not intended for installation in humid areas.